To some, Scientology is a bona fide religion based upon rigorous research with doctrines akin to universal scientific laws. To others, including some former members, Scientology is a cult with so-called doctrines that are nothing more than ridiculous science-fiction stories invented by founder L. Ron Hubbard. Although Scientology is controversial, it is recognized as a legitimate tax-exempt religious organization in the U.S. and in many other countries. However, countries including Great Britain, France, and Germany refuse to grant such status, citing evidence that Scientology’s tenets are diametrically opposed to the values of democratic societies. What is the truth about Scientology? 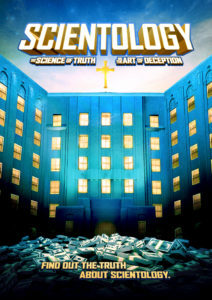 Find out in this compelling documentary that relies on interviews with current and former Scientologists in the U.S. and Europe, including members of the church’s leadership, to take viewers through this controversial organization’s history and inside its walls. 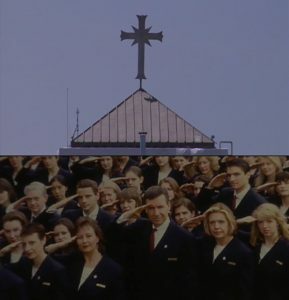 Among those featured in the film are Sabine Weber, President of the Church of Scientology in Berlin, Wilfried Handl (ex-Scientologist), Ursula Caberta (Head of Working Group on Scientology) and Scientologist Ralf Gerhardt.